From it’s inception, the philosophy of Where The Wall is to support independent culture and to promote the arts in the most independent, self-sufficient way possible. 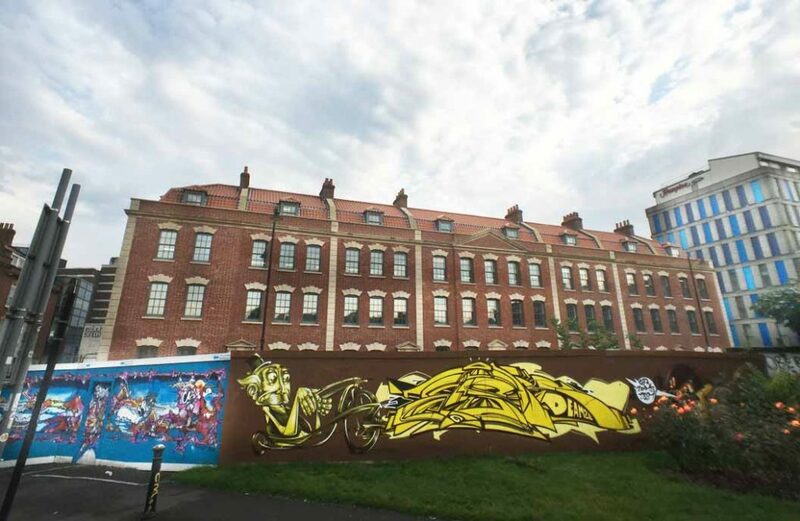 Not many other organisations find a way of promoting the arts without external funding, and not many organisations can work within so many aspects of the creative arts sphere: street art, graffiti art, fashion, music technology and popular culture. A graffiti art exhibition in a historic Bristol Georgian square including some of Bristol’s most well known and underground graffiti artists. Creating a showcase for 12 of the best Bristol’s street artist’s in the heart of Bristol’s shopping mecca, Cabot Circus, the project ran for 12 weeks with each artist painting a new mural, weekly, for 12 weeks. 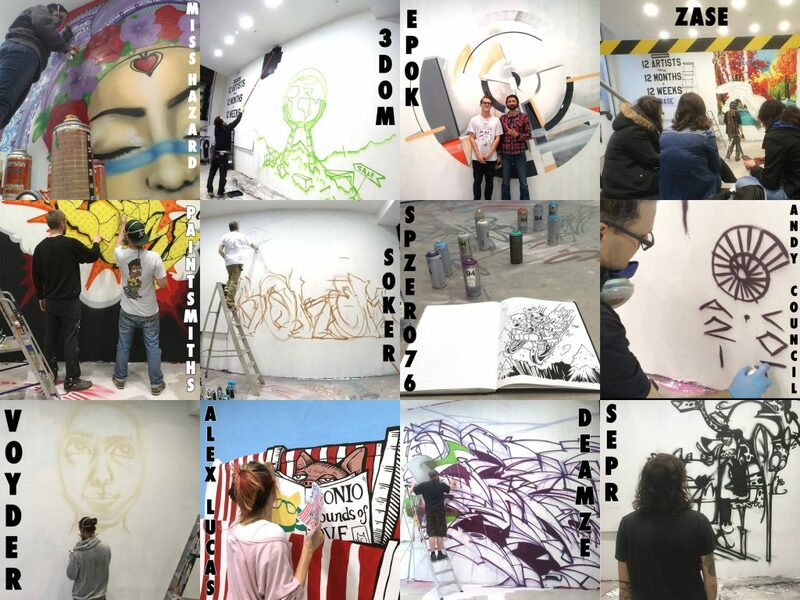 Artists involved includes: 3Dom, SEPR, Soker, Alex Lucas (Lucas Antics), Andy Council, Zase, Paintsmiths, SP Zero 76, Voyder, Miss Hazard, Deamze and Epok. whenever possiblewe speak to constructors and builders, arranging for their hoardings to be properly painted by graffiti artists and thereby reflecting the artwork in a positive light. Usually we self-fund the spray paint and materials, and donate them to the artsists. Bike Decorating with Bristol University and YoBikes! in under-privileged neighbourhoods. We worked collaboratively with Brsitol University for two years to run a project drawing attention to healthy eating and diets by decorating YoBikes! with messages relating to this academic subject as a means to engage the public. If you have an idea for a project, or you have funding and would like to engage with independent creative culture, please get in touch with us.